PHOENIX, Ariz., (Monday, March 18, 2019)- Monday, March 18 through Sunday, March 24, 2019 marks the United States Environmental Protection Agency’s (EPA) annual ‘Fix a Leak Week,’ and the Arizona Registrar of Contractors reminds you to take time this week to chase down the leaks in your home and workplace. 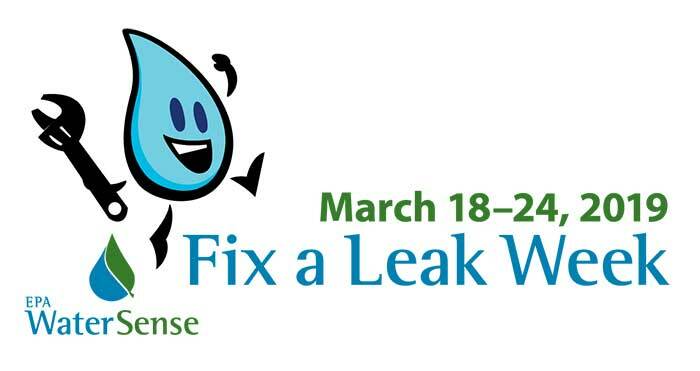 ‘Fix a Leak Week’ is a national campaign to save water by finding and fixing leaks. From running toilets to dripping faucets, household leaks waste nearly 1 trillion gallons of water each year nationwide, according to the EPA. An average household’s leaks can account for nearly 10,000 gallons of water wasted; the equivalent of 270 loads of laundry. While many household leaks are simple and easy to fix, if you are going to hire the job out, AZ ROC reminds you to hire licensed contractors, who are qualified and able to make the repairs you need. With no sign-ups required and at no cost to consumers, ROC provides a complete and searchable list of all 43,683 licensed construction businesses in the state. Visit roc.az.gov and use the Contractor Search to find a qualified professional near you.